Mona is the result of our first breeding of BISS, Ch Schonheit What A Deal MW and Ch Caidrac’s Dreamcatcher MW, a true line breeding bringing together the Pegden and EZ Goins line to continue beautiful confirmation and performance qualities. 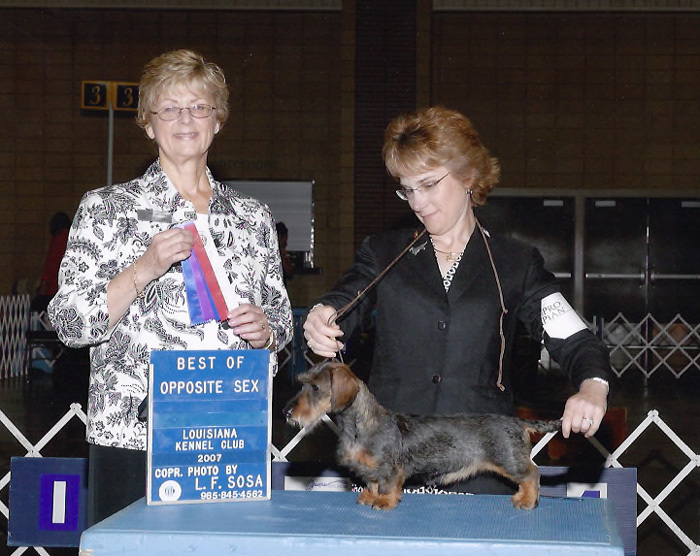 Mona quickly soared to both her Championship and Field Championship. 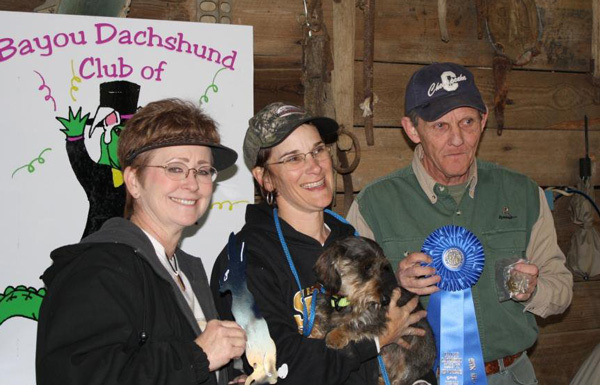 We have truly enjoyed hunting her, and she has been a fabulous producer. 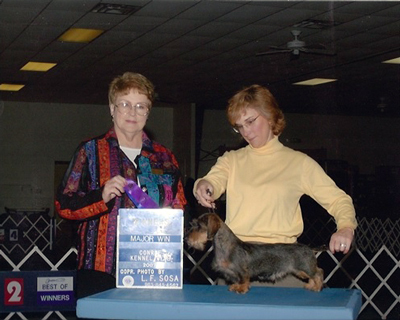 Mona is the dam of our GCH Caidrac’s San Antones Famous Madame MW. She is now fully retired to the couch!